This Article and video shows the importance of distributing your weight in your caravan as evenly as possible. If you have too light of a ball weight it'll have you all over the road. Too heavy and the front of the vehicle will lift creating traction where you don't want it, not to mention the legalities and the fact your caravan will tow like a pig (not that i have ever towed a pig for that matter). Towball weight is the weight that is placed onto the towing vehicle’s towball. Understanding the weights of your caravan and the towing capacities of your vehicle are very important and worth getting a great understanding of their affects whilst towing. 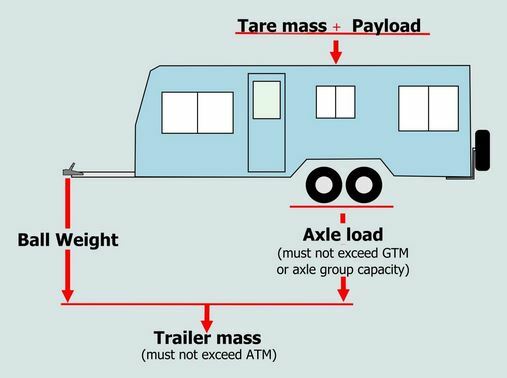 Tare Mass: This is the mass of your trailer with no payload, keep in mind if you're buying a second-hand caravan that the non-standard accessories are more than likely not included in the tare weight, thus adding to the payload. Your caravans tare weight should be stated on the VIN plate (example of a VIN plate below). If it's not, you might want to consider taking it to a weighbridge and get a certificate from them. GTM (Gross Trailer Mass): This is the maximum allowable mass that can be supported over the trailer’s axle/s. This should also be indicated on your caravans VIN plate. ATM (Aggregate Trailer Mass): This is the tare mass of your trailer plus its maximum payload, so if you subtract your caravans Tare from it's ATM that will give you the payload allowable. Once again, keep in mind if you're buying second hand that non standard accessories could have been added. Towing vehicle payload: please keep in mind that the towball weight counts towards your towing vehicle’s payload. This payload includes everything you add to your car like, passengers, added accessories, water/fuel etc. You can roughly calculate your towball mass by subtracting your GTM from the ATM. Your VIN plate should have this information though. There are of course, a wide range of caravan scales on the market from manual to digital scales that I would recommend having on hand, I know some caravaners that check before every trip to stay within the law and to ensure safety whilst towing. Towball weight is essential to safe towing. You should never exceed the weight listed on the tongue of your towbar. If the towball mass is too heavy it will lift the front end of the vehicle and reduce its ability to safely brake and steer. If the towball mass is too light, the caravan will be all over the road (see video below). Consider removing everything from the caravan to redistribute the weight better. Putting your heavier items as central to the axles as possible, move the medium weighted items to the front (A-frame end), whilst keeping lighter items towards the back of the van. Weight distribution hitch could be the answer: A weight distribution hitch can shift the towball mass to the vehicle’s centre of gravity. 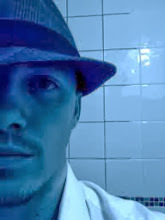 Popular units are made by Hayman Reese. Tow Ball weight is just as important as the weight over the caravans axle. Knowing what it is and how to deal with it will ensure you’re pulling your load safely. No matter how slow one's metabolism may be, given the right kind of food and exercise, it can be sped up to help one lose the weight. Shopping Center in Palm Jumeirah Enjoyed every bit of your blog post.Much thanks again. Awesome. North Arkansas RV dealer A big thank you for your blog article.Thanks Again. the low down of really towing the vehicle, just as security safety measures and on-street driving rules for making your tow a safe and bother free involvement. Have you been searching for the best diet pills that work? Are you worried about picking the right pills that can help you slim down? Worry no more! You simply need to know the right steps to take.